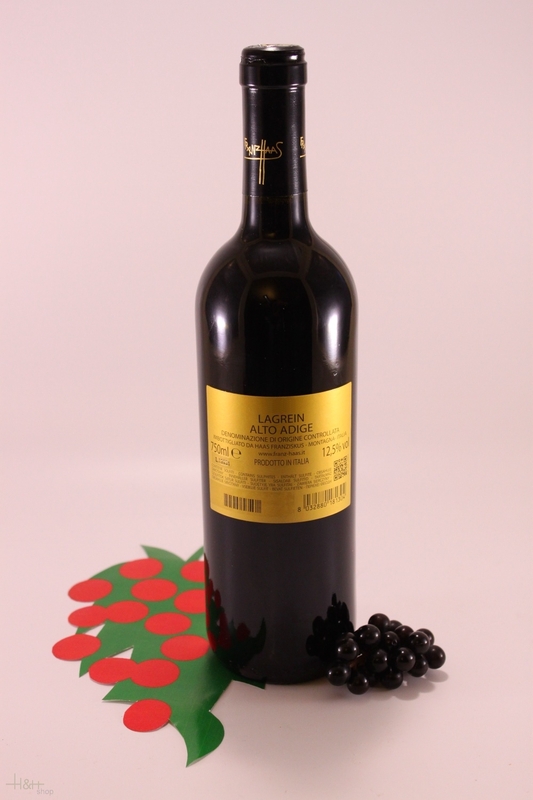 Our Lagrein is 100% Lagrein grapes (Lagrein is an autochthonous grape variety that can be made as a red wine if produced with skin contact, or as a white wine, if using the off -skins method). Our Lagrein grows in the lower vineyards of the Egna area, on very warm alluvial soil where the grapes reach ripeness earlier than on the higher slopes. As a late-ripening grape variety, Lagrein requires this particular mesoclimate to reach full ripening. After a careful selection, the grapes are lightly pressed and then destemmed with great care before fermentation in open vats, without cap punch-down. Once fermentation has been achieved, the wine is transferred to small oak barrels for a secondary, or malolactic, fermentation. The wine is then moved barrique to barrique where it will undergo further maturing for 15 months. After fining with egg white, the wine is ready for bottling. Dark Lagrein can be drunk when young, but further maturing in the bottle will enhance the roundness and rich mouthfeel of this wine. Usually bright red, in some vintages this wine can display deep purple highlights. On the nose, the aromas are very intense and ample, with hints of ripe red berries, fresh grass, and violets. On the palate, it is velvety with good concentration and character and soft tannins. This wine goes wonderfully well with hearty fully-flavoured grilled red meat. Müller Thurgau wine is a lively straw-yellow colour, with a fragrance that recalls notes of nutmeg, fresh fruit, peaches and flowers (yellow primroses), ending on a very pleasant, elegant, full-bodied taste. With its convincing simplicity and fresh acidity the wine is already captivating while still young. This is not just any wine; rather this is an unusually pleasant and zesty sparkling wine full of vivaciousness which goes particularly well with top-quality Scottish and Canadian smoked wild salmon, smoked trout and quality meaty sea fishes.